You can order your very own SIGNED copy of the Justice League Vol. 1 HC from midtowncomics.com for COVER PRICE! Each copy comes with an official certificate of authenticity. 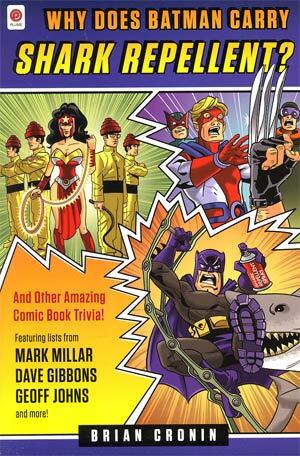 BOOK REVIEW: WHY DOES BATMAN CARRY SHARK REPELLENT? Midtown Bloggerinos! Raph here, with a review of the new book from Brian Cronin: Why Does Batman Carry Shark Repellent? Midtown Blogemy Lins! Raph here, to provide you with the last look back at the New 52 with Justice League! I’ll also be taking a look at a burgeoning new independent series: War of the Independents! DC NEW 52 REVISIT PART 4! Midtowners! Raph here, with the next installment of the New 52 revisit. Let’s take a look at another batch of DC’s relaunch books, with a full storyline under most of their belts! DC NEW 52 REVISIT PART 2! GREETINGS MIDTOWN BLOG GIANTS! This is the 2nd part of our 4 part look at the New 52, six months later. If you missed part, you can find it here. Why are we doing this, Bloggerbowl Champeen? Because most opening story arcs have wrapped at this point and now we have a better idea of the direction of the book. So on with week 2!